Food Marketing Inc. is a food brokerage company that manages sales and distribution for CPG brands in major grocery chains across the Southeastern United States. 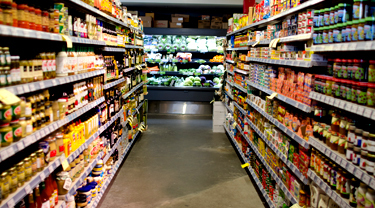 Food Marketing conducts regular store visits to monitor sales and retail execution of their clients’ products. Until recently, the company used paper forms in stores to document their in-store observations during retail audits, which resulted in too much paperwork and caused lengthy delays. They selected Flowfinity Actions software to replace paper-based audits with mobile forms on Samsung Galaxy tablets. Food Marketing has a team of Retail Merchandisers that conduct about 350 retail audits every week in over 1900 major grocery stores. The food brokerage company monitors in-store conditions, such as the number of items in the store and out-of-stocks, to maximize sales for their clients. Previously, Retail Merchandisers at Food Marketing wrote down their in-store observations on paper forms, which were delivered to head office by mail, fax, or in person. This process required manually typing the results into spreadsheets when the forms did arrive at head office, making it time-consuming to access or analyze the data. "It could be weeks finishing an audit and seeing a report. It was a very manual process trying to compile paper audits, and the summary reporting was difficult because it was so time consuming. When trying to cross-reference data it became almost impossible," said Brenda Nash, Retail Coordinator, Food Marketing Inc. The delays caused missed opportunities for correcting issues, and made it difficult to update clients on current conditions. "We were limited in the information we could share with our clients and customers previously," said Nash. "We would typically only transcribe audit results if there were issues that needed to be resolved or positive things that needed to be forwarded." 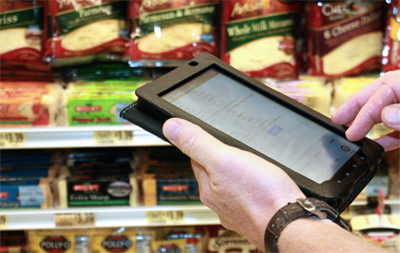 Food Marketing uses Flowfinity Actions to collect and capture data at the store level electronically on tablets, which had previously been done through paper. The data is pre-formatted and submitted to head office as soon as audits are complete, for instant feedback. Each audit form is dynamically generated and sent to the Retail Merchandiser's mobile device, so that only the relevant products for the store are shown on the form. "We set up a specific set of store audits based on the customer's product authorizations and the items that we represent," said Nash. "So when the end user pulls up their audit, they are only looking at the items that are authorized for that store." Using tablets, Retail Merchandisers record information such as out-of-stocks, product expiry dates, product rotation, tags on the shelf, and their GPS location when they start and complete the audit. Picture fields allow staff to take photos in the store and include them directly into the audit form. "Before staff would occasionally take photos and email them to us," said Nash. "We are seeing a lot more photos now that they are integrated with the system." Once the store visit is complete, the auditor submits the data and receives an email back with the information that was recorded. This allows them to review the audit with store personnel, take any required action on the spot, or email the information to the person if they are unavailable at the time. "Accuracy has definitely improved, and we're getting much more information than we could before." The new audit process has resulted in less paperwork, better accuracy, and richer information at the store level. "Before, with the paper system, we had multiple files and there was the possibility of transposing a code number or description incorrectly," said Nash. "Now all the information from the audits is coming from the same source, so we've eliminated that possibility." "Accuracy has definitely improved, and we're getting much more information than we could before," said Rob Bryant, CFO, Food Marketing Inc. The ability to submit and access retail execution data immediately helps Food Marketing deliver even better customer service. The company now receives a detailed audit report in a PDF file as soon as an audit is completed, as well as summary data in a spreadsheet to run reports against. This has made following up with the clients easier. "Now we know right away if there are issues in the store, and can contact the clients in a timely manner," said Nash. "We are also working with several of our clients to come up with a number of automatic reports." One area of improvement is in managing perishable items. Retail Merchandisers can now keep better track of expiry dates to make sure that products are sold before they spoil. "With the new system, sales reps can easily let us know if a product is near its expiry date and there is still a lot of it on the shelf," said Nash. "Their feedback allows us to work with the store managers and our clients sooner to put together a promotion and move that product off the shelf." "Our clients are loving the information that's flowing back and forth now. It's a 'now' situation, not four weeks from now. We are able to quickly act on the information that's coming in and be a lot more proactive," said Bryant. "Our clients are loving the information that's flowing back and forth now. It's a 'now' situation, not four weeks from now." Now that Food Marketing has reduced time-consuming paperwork, supervisors and sales reps have more time available for selling products. By eliminating the need to collect, review, and complete paper audits, employees are able to spend more time in stores and less time in the office. "The Flowfinity system has freed up about 60-70% of supervisors' time that they used to spend on this process, which allows them to sell more cases," said Bryant. "They can spend a lot more time talking to store managers about our clients' products or working with the associates to help them improve their selling skills." The ability to run analytic reports quickly also allows Food Marketing to identify new sales opportunities. "With Flowfinity, we can run reports from a sales standpoint to identify where there are voids and opportunities to increase sales," said Nash. "Now, rather than taking weeks, it only takes me a minute to run the report and format it to identify trends and opportunities." "For example we could run a report on the DSD items that a store does not carry and set up an incentive for our sales reps to work with store managers on carrying those items," she said. Not only are employees more productive now with Flowfinity, they are also more accountable for each hour billed and mileage used when travelling between stores. By including GPS and time fields in their mobile audit forms, Food Marketing is now able to accurately record where and when employees start their retail audits at every store. Previously, field staff filled in paper timesheets and mileage reports to track hours and travel expenses, which had to be transcribed, reviewed and reconciled. Now with Flowfinity, employees can enter time and GPS location within the audit form when starting and leaving each store, using the built-in GPS on their tablets. The information is included in audit results and accessible for review and reporting purposes. Supervisors can pull time and location reports to quickly verify and approve timesheets for payroll. "The staff are definitely being more productive now," said Bryant. "We have identified about a 20% savings in hours so far." Mileage costs have also gone down through better mileage tracking and route optimization. "We are now planning the optimal routes for staff based on their territory and stores, and holding staff accountable to following those routes," said Nash. "With better tracking and planning of mileage we have already achieved 50-60% in cost savings." Overall, the new system has set Food Marketing apart from the competition. While some of their competitors use electronic audits with batch reporting each night for next-day reporting, Food Marketing has real-time information available after every audit. "If we have a rep that identifies an issue at a store, at head office we can instantly get into communication with them, so that by the next store they visit, they can correct the issue," said Nash. "It's not tomorrow or next week, it's the very next store. This is something few of our competitors can do." Food Marketing is now using the Flowfinity system as a selling feature of their services. "Flowfinity has given us a competitive advantage. The ability to be proactive instead of reactive is what sets us apart from our competitors. Real-time data is the difference," said Bryant. Food Marketing plans to expand its use of Flowfinity software for other retail surveys, including gathering competitors' pricing information. Other plans include using Flowfinity to maintain a library of product sales promotion materials for instant viewing or emailing to store managers. "We would like to give personnel at the store level the option to bring up product information, pictures, and sell points on their tablets using Flowfinity," said Bryant. "Flowfinity has given us a competitive advantage. The ability to be proactive instead of reactive is what sets us apart from our competitors. Real-time data is the difference." Flowfinity has given us a competitive advantage. The ability to be proactive instead of reactive is what sets us apart from our competitors. Real-time data is the difference.